Is there more to coffee than just drinking it? Experts say that the smell of the beans is just as important. Neil and Catherine discuss the science behind why coffee often smells better than it tastes and teach some new vocabulary along the way. Hello. Welcome to 6 Minute English, I'm Neil. Catherine, I'm going to start this programme with a quick test, just for you. Coffee Neil! It's coffee. I have to say, I love coffee, it's great. OK, so do you drink much? Well, just a couple of cups, you know. No, every hour! I love coffee, don't you like coffee, Neil? I do but maybe not as much as you! What's the best thing about it? It's the smell. It's got to be the smell. You know, when you open the packet, it's great, isn't it? Yes, but it never quite tastes as good as it smells, does it? Well no, not really. It's always a little disappointing. I live in hope, another cup, I think it will be better. I might change brands actually and try a different one. OK, you've had quite a lot of coffee today, haven't you! Just the usual six cups. Right, so it's not Brazil but I bet it's another South American country, so I'm going to go for Columbia. Columbia, is that right? We'll have the answer later in the programme by which time, maybe the caffeine will have left your body Catherine. Tim Hayward is a coffee shop owner. He appeared in the BBC Radio 4 programme The Kitchen Cabinet. How important does he say the smell of coffee is? It's absolutely vital, it's the key thing. When you walk in to the coffee shop in the morning and that smell hits you, you're getting physiological responses. So how important is it? I'm feeling a bit calmer now. Tim Hayward says the smell of coffee is vital. That means it's very important, it's perhaps the most important thing. And he backs this up by saying that it's the key thing. Something that's key is something that is essential, it's really important. And he says that when you experience the smell, when the smell hits you, you get a physiological response. This phrase means your body has a reaction to the smell of coffee. Perhaps your mouth begins to water in anticipation. Catherine, when you get a coffee, do you normally have it there or take it away? Well, I usually take it away, although if I'm feeling really in need of a coffee hit, I might have one there and then get another one and take with me. Can you describe the container you are given when you have a coffee to go? Yes, it's in a tall paper cup with a lid. And the lid has a hole in it so that I can drink that lovely coffee. Don't you think that's a problem? I mean, we know how important the smell is, so what is the effect of the lid on that experience? The effect of the lid? Yes. Well here's Tim Hayward again talking about coffee being served with lids. What baffles me is that how many of the large coffee chains actually sell a product in a cup that removes the smell. So you walk into the coffee shop, you get the smell, but when you actually take the drink out you are drinking it from something that is designed to deliver the hot liquid directly past your tongue but stop any smell coming up to your nose. That's just weird. So what is he describing there? I see now, yes, He's talking about the big coffee chains. A chain is a company that has lots of its stores in towns and cities sometimes around the world. I think we can all think of a few well-known coffee chains. He says that by putting a lid on take away cups, you're actually blocking the smell - that smell that is really important to the coffee experience. Yes, and he says that he finds that weird, which is a way of saying he finds it unusual, thinks it's strange, odd. So much so that he says it baffles him. If you are baffled by something, you find it confusing, you can't really understand it. Here's Tim Hayward again. I said it was a: Colombia. Ah, sorry, no extra coffee for you today! The answer is Vietnam. And now on to the vocabulary we looked at. Take it away Catherine. So the first word was vital, which is an adjective that means very important. And another word with a very similar meaning was key, meaning essential. Next we had the phrase physiological responses. Physiological refers to what our bodies do and a response is a reaction.So a physiological response is a reaction your body has to something, like the smell of coffee. Something that baffles you, confuses you, you don't understand it. You might find something that baffles you to be weird. This adjective means unusual or strange. And finally, a chain is a group of shops from the same company with the same name. Well that is the end of our programe. For more from us, check out Instagram, Facebook, Twitter, YouTube and our App and of course the website bbclearningenglish.com. See you soon, bye. I think you've had too much! 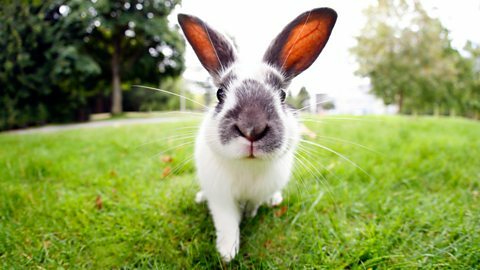 Neil and Rob talk about the animal symbol of Easter in literature and in the real world. Is it time you decluttered? Why do we feel awkward? Do you know that cringey feeling? Do you have a second job? Be careful where you look! What's on your to-do list? How much do you enjoy doing housework and paying bills? Why are these magical creatures back in fashion? Are food allergies more common now? How effective are dating apps when you're looking for a romantic partner? What's so special about these uncomfortable shoes? What's the positive side of feeling good when bad things happen to people you envy? Would you all but give up eating meat to save the environment? Are you a button presser? Why does 'x' mean 'kiss'? What does 'x' really mean? 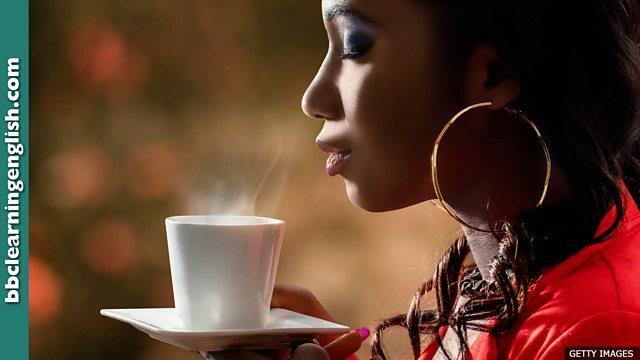 How important is the smell of coffee? What can chickens teach us about organisation? Can people feel lonely in a crowded place? Neil and Sam discuss objectification. What is it and is there really a 'perfect body'? How creative should we be? Paying a lot to look a mess! Could we live without plastic? We discuss the issues and the progress that's being made. Have you grown up with social media? The word snowflake has taken on a new meaning. We discuss this new term without causing offence! What does our brain tell us to do when faced with a dating app? Do you lead a sedentary lifestyle? Learn what made people more active in Finland. Street food: Why is it becoming so popular? Why is street food becoming more popular in the UK? Do people still buy cameras when everybody is keen on selfies? Why do men want to be fathers? Does being taller mean you earn more at work? How intelligent is the octopus? Why are countryside walks no longer so popular? Is technology always the solution? Are you excited about the World Cup? Are you a football fan? Football songs: Why are crowds so quiet these days? Why are football fans so quiet nowdays? Hangry: are you angry when you're hungry? What does your smell say about you? Is the internet good or bad? Is the internet a positive thing? Is it good to lie? How much do you know about the food you eat? How do you learn to speak a language? Would you tell a robot your deepest secrets? Would you pay more for coffee if you knew it was doing some good? Dan and Catherine discuss the pros and cons of ethically produced coffee. Bitcoin is here and it's generating interest. Is that a good or bad thing? Dan and Neil discuss the pros and cons of this digital currency. Can science prove the existence of 'man flu' or are men just big babies? Dan and Neil discuss all this and give you six useful items of vocabulary. A popular job at this time of year is playing the part of Santa. But what does it take to be the perfect Father Christmas? Neil and Dan discuss whether it's a role that would suit Dan. The number of schoolchildren doing part-time jobs in the UK has fallen. Is that a good thing? Neil and Dan discuss the pros and cons of working while you're still at school. What do you buy when you're sad? Have you ever bought something when you're sad and then regretted it later? Do you need to upgrade your phone? How old is your smartphone? More people are going to the gym to get fitter but why? Does a cafe's free wi-fi encourage you to go in and buy a coffee? Pedestrianisation - is it good for cities and towns? There’s a fresh interest in keeping cars out of cities. Is it a good idea? Are you aware of how much of the sweet stuff you eat? When you have to be polite and courteous ... even when you swim! Why pay for bottled water? Can you tell the difference between the taste of bottled water and tap water? Neil and Rob talk about vigorous exercise – and whether adults take enough of it! Are you afraid of machines that copy human intelligent behaviour? Did you know that when the entire body is aging hair can grow stronger? Having a row or asking for directions? A policeman, a pilot, a chef - what's our fascination with uniforms? Would the world stop without clocks? Have you ever thought about what sort of funeral you would like to have? Have you ever cheated an honesty box? Is honesty really the best policy? Do you not want to be seen? How do lost cats and dogs find their way home? Want to improve your life? Can we trust our first impressions? Why do we throw away so much technology? Is happiness in the DNA? Could you give up meat and animal products? Do people now have shorter attention spans than goldfish? How did a man fall from a 47 storey skyscraper and survive? What's behind the trend for having more than one career? How does your food affect your mood? Can dogs be used to detect cancer? Are you an emoji person? We explore how simple smiley faces have become powerful communication tools. What do you eat for lunch? Sandwiches are the most popular lunchtime meal in the UK, but why? Mermaids – Fact or fiction? Can humanity really breach the 90 year limit? Gun control with no guns? How is that possible? Join Dan and Neil to find out. Can you trust your own eyes? Why do cities make us rude? Why are we so fascinated with the superheroes that populate our cinema screens and comic books? Why do crazes take off? When do you feel sleepy? Call them what you want – trainers, sneakers, tennis shoes – but why does everybody love them so much? Hi, meet my online persona! How do you read your news? Is loneliness in our genes? Why is punctuation important? Neil and Alice discuss rhetoric, commas and full stops. Have you walked off your pizza? Will we still be speaking in an English we recognise in a thousand years' time? Alice and Neil make some educated guesses! Alice and Rob consider which study techniques are good and which aren't. Does sleeping with a book under your pillow help? Could you be an astronaut? Have you got too much stuff? Do you think for yourself? Do you always agree with what most people in your group say? Neil and Sophie discuss staff meetings. Neil and Sophie discuss the health benefits of being able to speak two languages fluently. And Neil... speaks Japanese! Is social media a distraction? How often do you check your phone? Neil and Sophie discuss how social media is changing the way we interact. What's in a fairy tale? Neil and Sophie discuss the growing industry of team building – from zombie bootcamps to horse training for executives. Neil and Sophie talk about gene editing, designer babies and how many errors Neil might have in his genetic code. How generous are you? Neil and Sophie discuss Mark Zuckerberg and what it takes to be a modern-day philanthropist. How do you like your tea? Tea comes in different forms – milky, sweet or spicy. Alice and Neil discuss how this Asian leaf conquered the world. Train, car, bicycle ... Hundreds of millions of us make the same journey day in day out. Take a hike with Alice and Neil and learn new vocabulary. Are we afraid of food? Are food allergies on the increase and if so, why? Neil and Alice talk about the growing fear of food and teach new words. Is modern life making us tired? Are artificial lights and late night TV ruining our sleep? Neil and Alice discuss the issue and teach you related vocabulary. What does it take to be a good interviewer? Neil and Alice discuss TV chat show hosts and teach you some related vocabulary. Some families struggle to buy even food and can’t afford presents. Neil and Alice discuss how some charities are helping those in need. Why do we take risks? Is student life all good? Alice and Neil discuss the psychological pressures of going to university. They also teach some related vocabulary. How much is your spouse worth? Do you know how much your partner earns? Is he or she in debt? Would this make you love them less? Are you good at telling jokes? What makes a good comedian? Should we all pay for supermarket plastic bags? Neil and Alice take a look at the environmental impact of plastic and teach you some related words. Should the difficult language of Shakespeare be 'translated' into plain English? The bicycle is the most popular form of two-wheeled transport in the world, but could we all soon be using hoverboards? Listen to Neil and Finn's conversation and learn some new words. If you are sitting at a desk or answering the phone, stop for a moment and ask: could a robot or machine do this job better? Neil and Finn discuss the future of our jobs. Do we read to show off? Neil and Alice discuss what kind of book people like to be seen reading. Do you like to impress people with a classic book in your hands? Does being born in the summer reduce your chance of going to university? Take a trip with Rob and Alice to find out about the Earth’s core. They’ll discuss how hot it is – and whether there are any dinosaurs living there! Do you dress formally or casually? Do you choose trendy items or old comfortable ones? Rob and Will talk about the meaning of clothes. Is knuckle cracking good for you? Was Charles Darwin the only man with ideas about evolution? Rob and Neil talk about someone else who discovered it first. Why do gibbons sing duets? Why do gibbons sing duets and what has this got to do with the evolution of the human language? Skinny models: What does the law say about walking the catwalk? Is a game just a game? The dangers of computer games. How good are they for our health? It's amazing! What part of our body have scientists discovered can heal and help us? Why did Singapore ban gum? Listen to Neil and Rob discussing mood swings, risk taking, and why people make fun of teenagers, while they also explore some related vocabulary. What makes us angry and why is aggression useful? Neil and Catherine discuss human behaviour. Are beards back to stay? Is a door just a door? Furniture with built-in wireless charging technology - like a coffee table is now being sold. 'Built-in' means the technology is included as part of the table. So you just pop your phone on the table, and technology does the rest! Many animals face extinction. But people are realising that they must act now to stop further losses. A scheme to save the Asian elephant in China could provide an answer. Rob and Neil put on their sunglasses to find out more about this special star and teach some related vocabulary. We promise you won’t be blinded with science! The UK has become the first country to approve legislation allowing the creation of babies with genetic material from three people. Listen to Neil and Harry’s conversation and learn some related vocabulary. A threat to London's artwork? An electronic device under your skin?! Workers in Sweden take part in experiment which allows them to get in and out of their office without a key, ID or password. Listen to Neil and Harry’s chat and learn some related vocabulary. This year marks the 50th anniversary of Winston Churchill’s death. He is known throughout the world for his role in defeating Nazi Germany but he also made mistakes. Listen to Neil and Mike’s discussion, and learn new vocabulary. The price of vaccines has escalated and some poor countries are struggling to prevent children from catching certain life-threatening diseases, says Medecins Sans Frontieres. Listen to Rob and Neil’s discussion, and learn some related vocabulary. Do you fear Artificial Intelligence? Will thinking computers be the end of humans? Listen to Rob and Neil’s chat and learn some related vocabulary. Should tourists go to Antarctica? About 37,000 tourists are expected to visit Antarctica this season. But should they be going to a region with such a sensitive environment? Listen to Rob and Neil’s conversation and learn some new vocabulary. 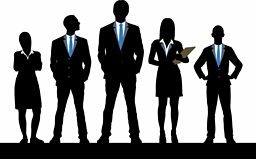 At a time when more people compete for fewer jobs, are you sure you present your skills and abilities well to a potential employer? Listen to Rob and Neil's conversation and learn some related vocabulary. Are you big on small talk? Are computers making us dumb? 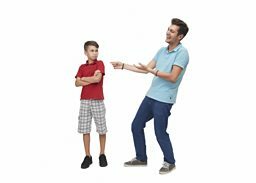 Is bullying just an attempt to give a bad name to what is part of human nature? 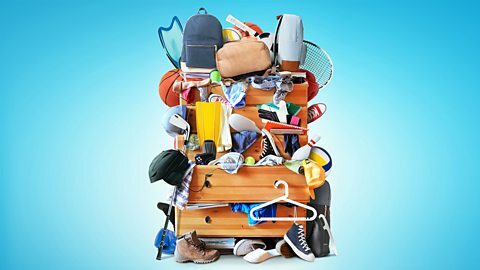 Listen to Rob and Neil’s chat and learn some related vocabulary. When enemy soldiers sang together in WW1. Listen to Rob and Finn’s chat and learn some related vocabulary. Can science fiction save the world? Is eating meat killing our planet? Why is eating meat bad news? Do real-life superheroes exist or are they just cartoon characters? How quickly can you learn English? Is it right to sleep at work? Rob and Finn discuss the benefits of sleeping on the job. Is the way we see famous people a new thing? Learn about the first 'modern celebrity'. Bored? You're not alone. Rob and Finn discuss how to deal with boredom and teach some related vocabulary. We promise you won't be bored!